Swapping source and destination address and port for the hash computation (for monitoring of both directions of communication at the same CPU core). Trimming of packets to set length. 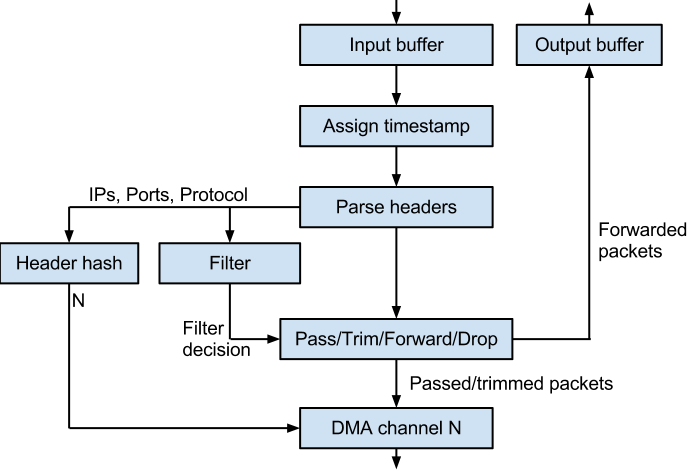 Basic filtering of packets by given rules. Export of parsed packet header fields to software (instead of full packet).